This square has an unique design with a very interesting construction. I hope to see more from this designer, I find all her designs so amazing! 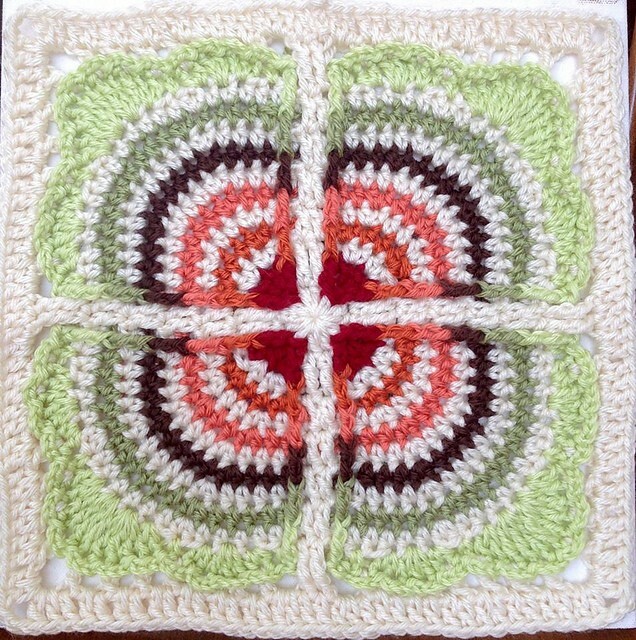 The Fan Club square by Polly Plum is popping with colors and it’s beautiful. This afghan block’s stripes build to four ruffly fans. 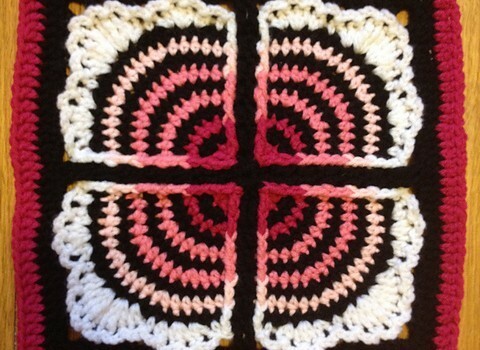 You’ll create the effect of the separated fans by working in front and behind stitches. No working over yarn or changing colors mid row.